At For Your Convenience™ (FYC), we believe in offering you everything you need to outfit your store. 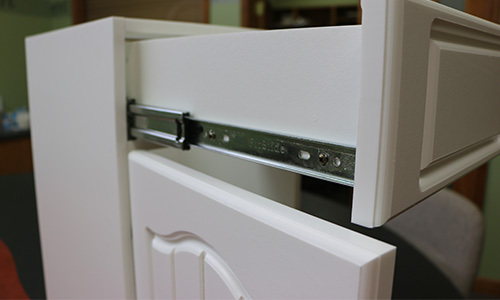 We offer millwork and custom cabinetry, waterproof panels, safety flooring, signage, and more. Our integrative approach is simple: we listen to you and help determine your needs and wants. 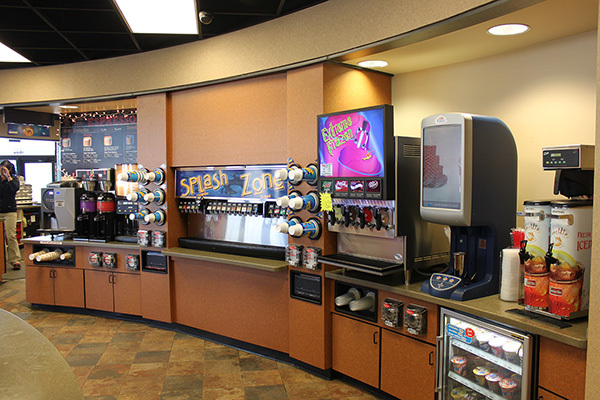 Whether your operation is a convenience store, food service establishment, retail business, or institutional facility, FYC’s goal is to help find the best options to fit the precise needs of your business. A division of Prock Operations™, FYC is located in the heart of the Ozarks in St. James, Missouri. The FYC campus has over 100,000 square feet of manufacturing and production space, which houses the best employees and equipment to fulfill your orders accurately and efficiently. Our millwork shop is equipped with a melamine press and computer-operated routers so our experienced drafters and skilled installers can create custom products for you. Our panels division works closely with our millwork division to provide products and materials that combine function with design. 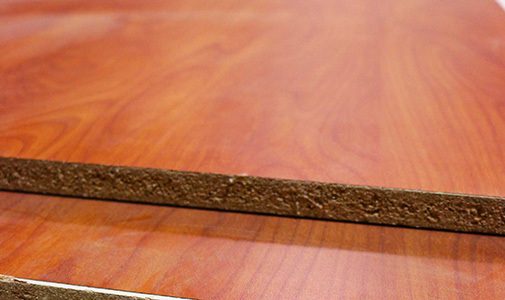 We offer panels in Xcelamine™, melamine, high pressure laminate, and hardwoods. Our most popular panel is Xcelamine, which is a termite-, water-, and rot-resistant melamine board that protects your cabinets, counters, and other millwork from leaks and spills. 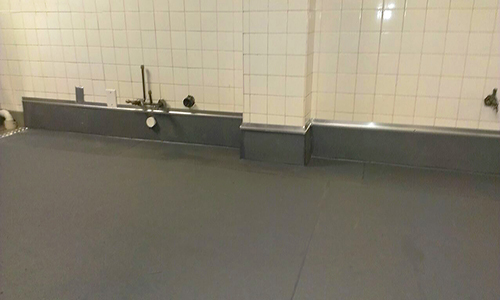 Xcelamine contains 98% recycled material, is impact resistant, and is easy to clean and maintain. It is a great alternative to traditional melamine millwork in high-moisture areas. Your outdoor cabinetry should be as beautiful and useful as your indoor cabinetry. 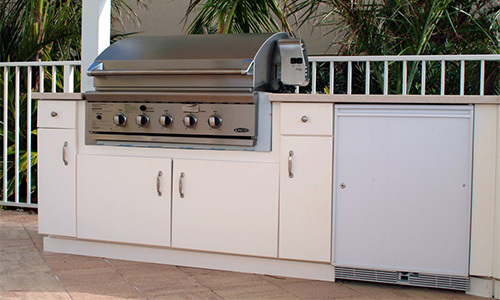 For Your Outdoors™ plastic cabinetry is UV stabilized and withstands even the harshest outdoor conditions. Manufactured from an advanced polymer, this outdoor cabinetry withstands even the harshest outdoor conditions. It is fire, chemical, and scratch resistant with no warping, rotting, discoloration, or delamination. 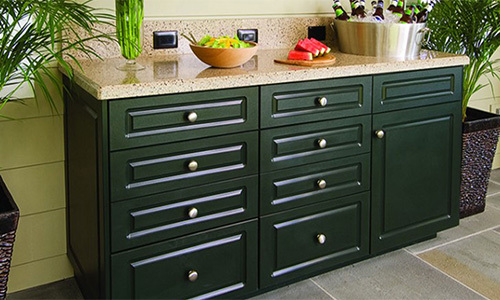 Our plastic cabinetry is available in a variety of colors, styles, and sizes. 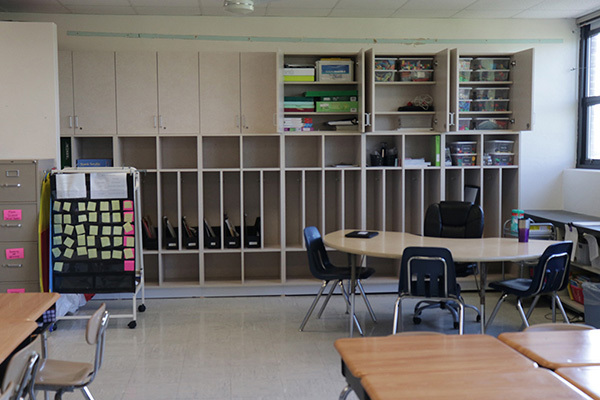 Institutional and communal environments have unique cabinetry needs. That is why FYC offers a complete line of antimicrobial cabinetry made with King MediGrade® polymer. This material is bonded at the molecular level with Biosafe® antimicrobial additives. Antimicrobial cabinetry resists stains, odor-causing bacteria, algae, and fungi, guarding against bacterial degradation for the lifetime of the product. 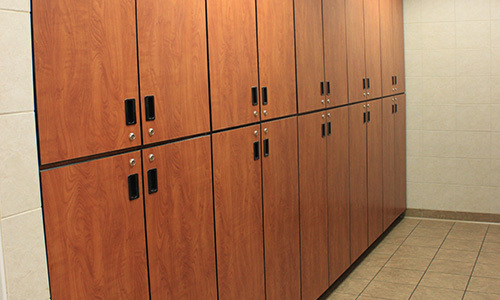 Our standard cabinets come in a variety of colors, styles, and sizes. Customization is also available for a nominal charge. 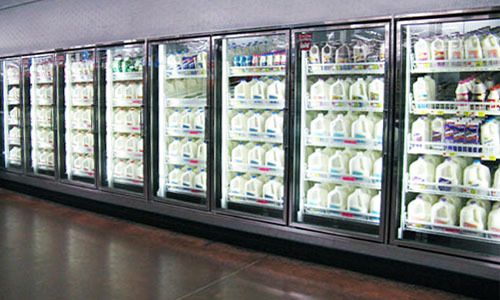 Snowman Cooler™ manufactures coolers and freezers to fill all your cold storage needs. 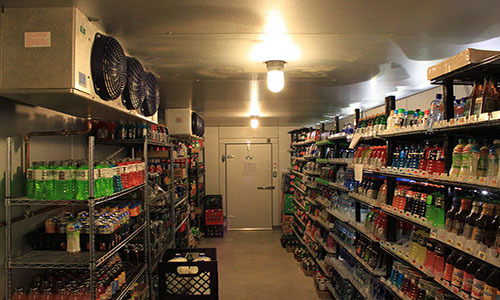 We supply units for convenience stores, florists, grocers, restaurants and bars, schools and institutions, warehouses, mortuaries, and many other uses. All our coolers and freezers are custom made and designed specifically to meet the needs of your customers. 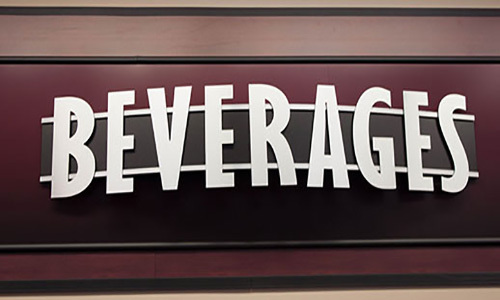 We can help you provide your customers with a walk-in beer cooler, a front of store floral display, a hidden storage cooler, and many more options. We will design your cooler or freezer into the perfect shape to fit your store, restaurant, school, florist, or mortuary. We work with you and your customers through each step in designing a custom cooler or freezer and submit our design proofs for your approval to ensure accuracy before we precision-cut each piece based on the approved designs. 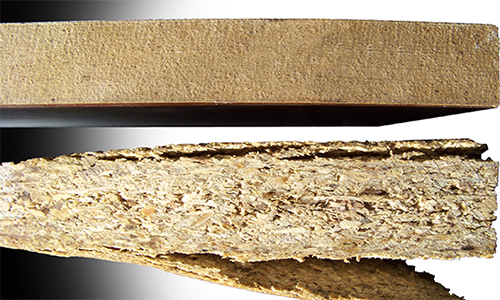 We use XPS insulation with a closed cell structure and high resistance to water. This XPS insulation, which is composed of hydrophobic polystyrene polymers, exceeds the R-Values required by the Energy Independence and Security Act of 2007 and the modified regulations enacted in 2009. 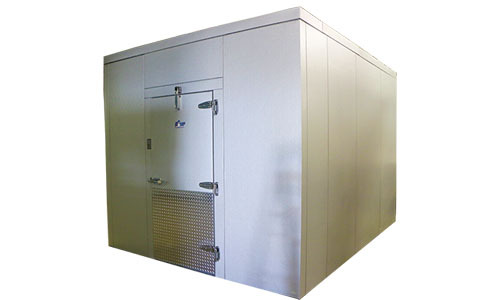 XPS insulation, both initially and throughout the life of the walk-in, is the best choice for your needs. First impressions are important. 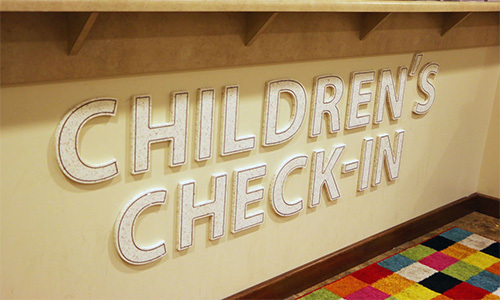 FYC’s graphics division provides the custom signage, graphic design, and printing services to make your brand stand out. Whether you need a logo, banner, or other visual display, the graphic designers at FYC will work with you to maximize the effectiveness of your campaign and create the precise look you are seeking for your business. 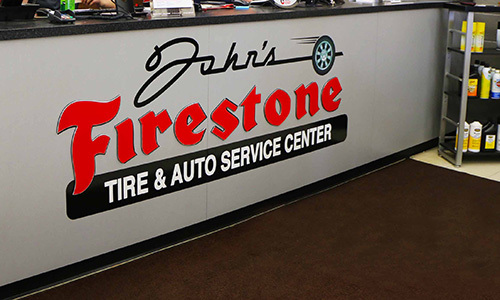 FYC offers a wide variety of products and services for nearly every business need and budget, including 3D lettering, large-format vinyl banners, custom vehicle wraps, directional signs, upsell directives, and more. Whether you need vehicle graphics, outdoor signs, or large-format banners, FYC offers the digital printing services that will meet your needs without breaking your budget. 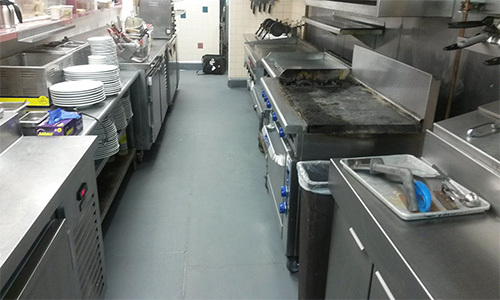 From our flooring division, a safety flooring that combines cohesive fibers and anti-fungal micro-biocide in a durable, comfortable, and easy to clean product made from recycled materials. 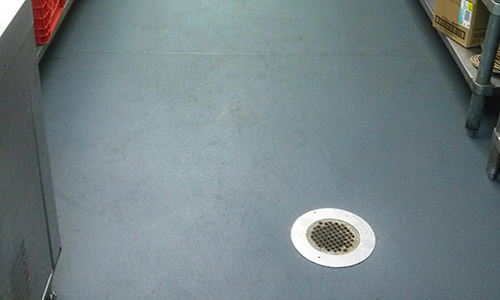 This flooring can be molded into place forming a seamless floor that fuses at the wall, door channel, and/or drains needed to create a water-tight floor covering. Certified by the National Floor Safety Institute, our flooring helps reduce slips and falls, and is resistant to mildew and other bacterial growth. It does not absorb water and is non-corrosive, even when exposed to chemicals, animal fats, or grease. Flooring is available in eight colors, varying sheet sizes and thicknesses, and matte or gloss finishes. © 2018 For Your Convenience. All rights reserved. All trademarks, trade names, and trade designs are the property of Prock Operations, Inc., or its affiliates.